Capping months of shortlisting and a public vote, the Man Booker Prize for Fiction’s 50th anniversary ‘Golden Man Booker’ best-of-the-best novel has been named. 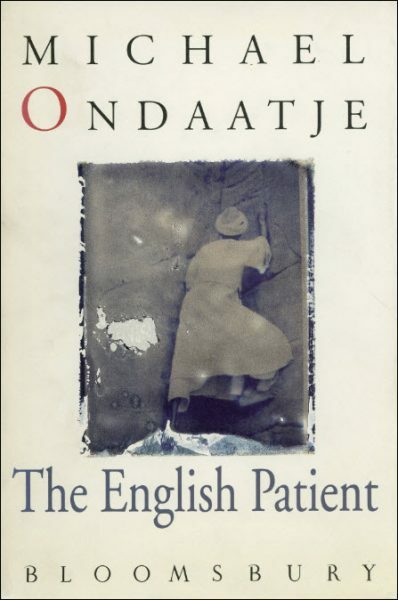 Michael Ondaatje’s ‘The English Patient’ is from the “middle” decade of the prize’s five, the 1990s. 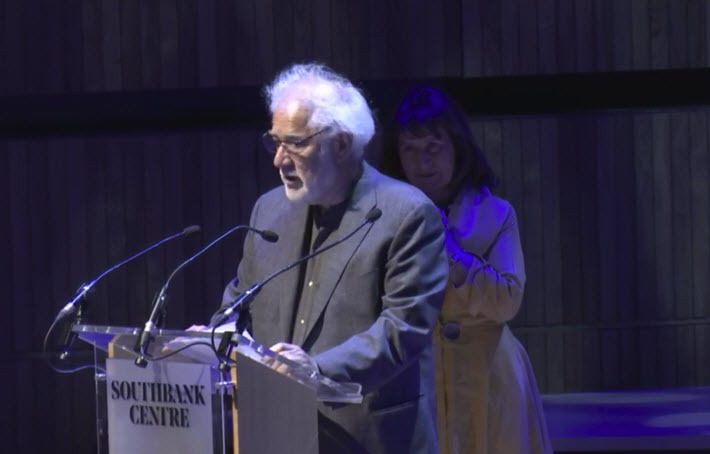 Tonight in London (July 8), the Sri Lanka-born Canadian author Michael Ondaatje’s The English Patient (Bloomsbury, 1992) has been announced the winner of the Man Booker Prize for Fiction’s 50th anniversary ‘Golden Man Booker’ prize. The announcement from the Baroness Helena Kennedy in a program called Golden Man Booker Live is the culmination of a weekend festival of events at London’s Southbank Centre. The program is focused on the half-century of the prize, which is widely viewed as the world’s most coveted of awards for literary fiction. “Where did they come from? How was a patient burned? Above all, where were they? A short while later, there was a scene of a thief trying to steal a photograph that had been taken of him during the war. As Publishing Perspectives readers know, five jurors were chosen to each read a decade of the Man Booker winners, creating the five-book shortlist announced in late May at the Hay Festival. The public then voted on those five books through June 25. The celebratory weekend of workshops, readings, and other events was opened on Thursday evening by Camilla, the Duchess of Cornwall, who hosted a reception of past Man Booker Prize winners at Buckingham Palace. The juror chosen to read the 1990s’ Man Booker Prize winners and choose the best of that decade was author Kamila Shamsie, the winner of this year’s Women’s Prize for Fiction for her novel Home Fire (Bloomsbury), itself longlisted for the Man Booker 2017. And at the Golden Man Booker Live event at Southbank, Shamsie was on hand to talk about her selection of The English Patient. Also along was actor Chiwetel Ejiofor to give a reading of an extract of the book. Ondaatje was then presented with a golden trophy, a one-of-a-kind Man Booker Prize. Just published last month, his newest book is Warlight (Jonathan Cape). 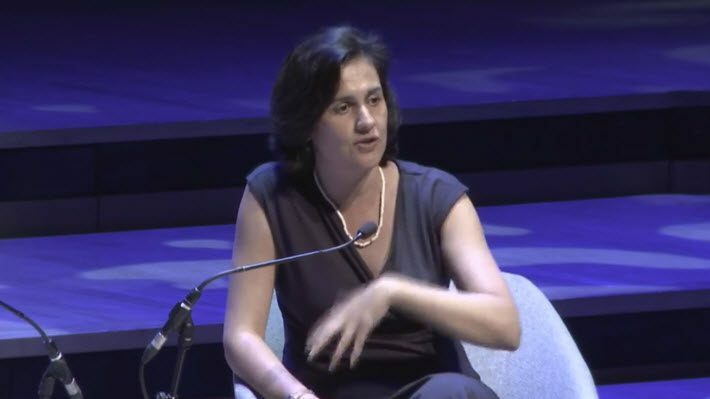 One of the most profound comments, of many, heard from the stage Sunday night, came from the juror Kamila Shamsie, in talking about her decision to name The English Patient the best of the 1990s. “I’ve changed, the world has changed,” Shamsie said in speaking from the stage about her selection of the Ondaatje. “But it now feels like going back to people you love,” to reread the book. In her rationale for her selection, Shamsie has said, “The English Patient is that rare novel which gets under your skin and insists you return to it time and again, always yielding a new surprise or delight. “It moves seamlessly between the epic and the intimate—one moment you’re looking at the vast sweep of the desert and the next moment watching a nurse place a piece of plum in a patient’s mouth. That movement is mirrored in the way your thoughts, while reading it, move between large themes—war, loyalty, love—to tiny shifts in the relationships between characters. 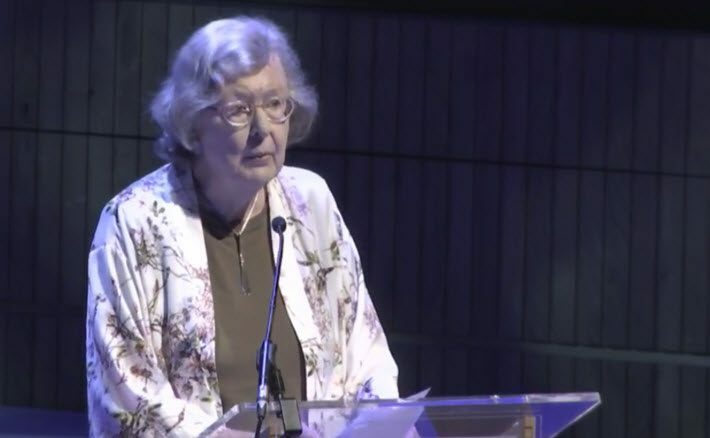 Also at the event in London were shortlisted authors Penelope Lively and VS Naipaul. Additional performance readings were given by actors Fiona Shaw, Geoffrey Streatfield, and Meera Syal. And the four other decades’ jurors were there. In a particularly touching and intelligent bit of commentary, the 85-year-old author Penelope Lively, whose Moon Tiger won the Man Booker Prize in 1987, said that today, the book feels likes something written by someone else. She called the shortlisting “an unexpected boost” to the book and detailed the geopolitical background of its original conception. 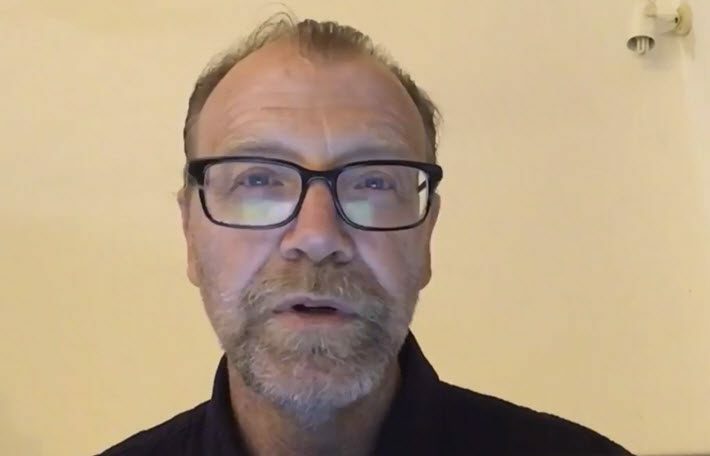 And the American author George Saunders, winner of the 2017 Man Booker Prize for Fiction for his Lincoln in the Bardo, sent a videotaped message (because of a teaching engagement that prevented him being in London), offered the phrase “viral goodness” in his commentary. “By describing ourselves in words in the form of a story,” Saunders said, “we open the world out, fill it with detail, find more in it. And some of what we find may be good and even helpful to us. Social media content about the ‘Golden Man Booker’ 50th anniversary events is being hashtagged #ManBooker50. More from Publishing Perspectives on the Man Booker Prize for Fiction is here.